Summer did not bring only pleasant vacation experience, but also problems with airlines. Unpaid compensations for cancelled flights or damaged luggage have made some Czech consumers suffer. And they ask the European Consumer Centre for help. They give up trying to resolve their summer problem on their own because no direct solution with the carrier from another EU country is possible. Our centre can help them out-of-court and free-of-charge. Mostly we are successful,” says Tomáš Večl, the director of the European Consumer Centre CZ. 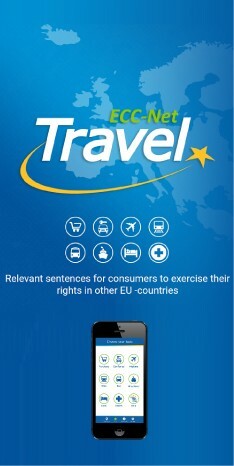 These rights, the same as other passenger rights, are included in the new information brochure of the European Consumer Centre Czech Republic. The brochure is available on www.coi.cz/esc, particularly on http://www.coi.cz/en/esc-1/news/your-air-passenger-rights-ecc-cz-leaflet.html. The centre can help in disputes with carriers from other European countries. In case of disputes with Czech carriers, people should turn to the Civil Aviation Administration or Consumer Defence Association (SOS).